The fitting is suitable for handling pressures up to 435 pounds per square inch (psi) (30 bar) and has an operating temperature range of -20 to +120 degrees C (-4 to +248 degrees F). This fitting meets Restriction of Hazardous Substances (RoHS), Food and Drug Administration (FDA), and EU regulation 1935/2004/EC technical specifications. 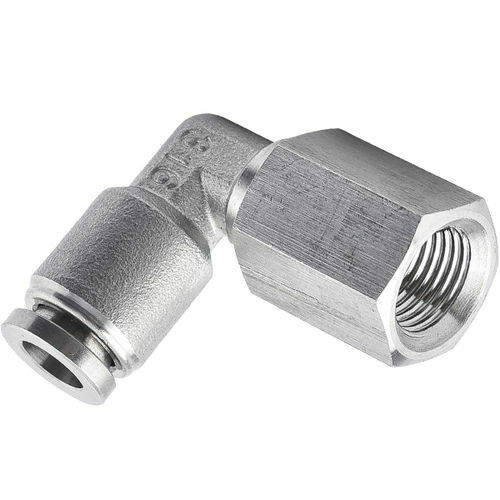 This stainless steel tube fitting is is suitable for use with air, water, and steam in both vacuum and pressure applications, such as food processing in a wash down environment.